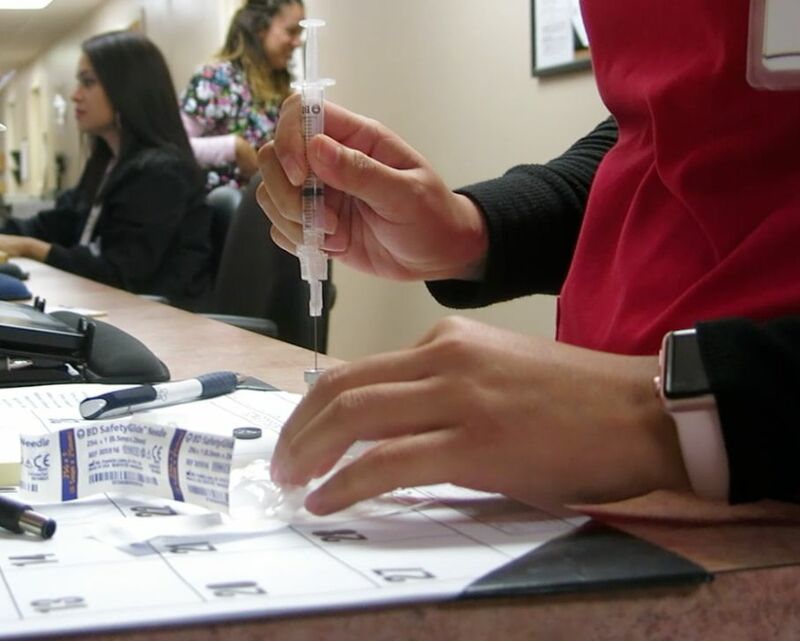 Arizona legislatures have approved three measures which could result in fewer children being vaccinated, even amid outbreaks of measles in pockets across the nation. The votes were done as the objections from a string of doctors and other medical professionals who told lawmakers that the changes would undermine public health, at least in part by inundating parents with information that will only confuse them and cause them to have second thoughts. “Any message you send today indicating skepticism of vaccines harms the health of our community,” said Steven Brown, a Phoenix doctor. He said lawmakers should make decisions based on science. And as per Steve Barclay, who represents the Arizona Medical Association, success is reflected in the medical record, saying it’s rare to talk about measles or people dying from that disease. In 1963, he said, before there were usual measles vaccines, there were 4 million cases of the disease in this country, with 40,000 people hospitalized and 500 deaths. And all over the world, where there are no vaccines, 89,000 people die each year. Rep. Nancy Barto, R-Phoenix, the sponsor of all three bills, said she is not opposed to vaccines. But the testimony of Thursday seemed not to be balanced having Barto giving those who question the medical safety of vaccines two uninterrupted hours to make their case. “Along with the premise that vaccines save millions of lives, as a pharmaceutical product they also bring risk,” Irene Pi, Arizona director of the National Vaccine Information Center, told lawmakers. Alan Palmer, a retired chiropractor, told lawmakers to ignore statements by doctors of the need to create “herd immunity,” where having enough people vaccinated ensures that diseases are not quickly spread to others who, for medical reasons, cannot be immunized. Some of the testimonies are personal. Pamela McLeod, a pediatric nurse whose two children have autism, though she noted that one developed the condition before getting his first shots. But Joseph Seelbaugh, a Phoenix family practitioner, told lawmakers those stories show only one side of the issue. The votes also came against the backdrop of the Centers for Disease Control that has confirmed 101 cases of measles from 10 states so far this year. The cases were largely people who either have not had the vaccine or did not have the second dose. It should be noted that a public health emergency was declared in the state of Washington where a public health emergency was announced in January with 55 confirmed cases, virtually all of those in children whose parents had chosen not to vaccinate them. But the main objections were to HB 2471 and to the list which specifies what information that parents would need to be provided. Liz McKenna said no one is trying to hide information. She is physician representing more than 900 members of the state chapter of the American Academy of Pediatrics. She said the materials now given to parents are “made to be in understandable language” spelling out in brief forms the risks and cautions. McKenna said HB 2471 would require the state to give more than 30 pages of information to the parents for each vaccine that would not lead to improved patient care. “In fact, providing this book without the proper context and without adequate explanation may confuse and intimidate parents, resulting in a drop in vaccination rates and adversely affect the health of the children of our state,” she said. The bill also expands the religious exemption that now exists to cover children in all grades. That exemption is currently limited to only daycare and preschool. There is already a separate personal exemption which covers high school students. But Cathi Herrod, president of the Center for Arizona Policy, said the religious one is broader. HB 2470 also would eliminate the requirement that parents who want the religious exemption must review and sign a form prepared by the Arizona Department of Health Services. It also talks of communicating the parents who sought the exemption that if there is an outbreak, their children can be kept out of school.